In this Coworking Community Call, we sat down with Financial Investor, Shawn Bertini. 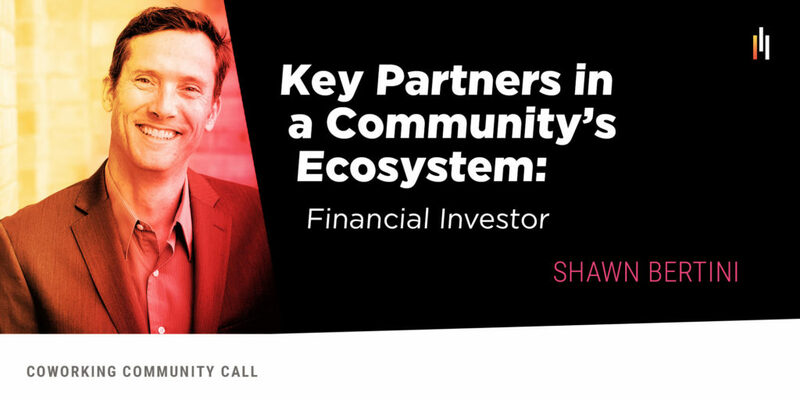 With a technology career ranging from a two-person startup to a global mega-corp, Shawn is thankful to be back in the entrepreneurial world helping to bring capital and mentorship to early-stage businesses as Director at Four Points Funding. During this call, we discuss the types of services offered by Four Points, how Shawn measures success from an organizational standpoint, and what other organizations he looks to collaborate with locally. Our hope for you as listeners is that you will be able to figure out how to build key partnerships with similar organizations in your own town and communities. If you’re interested in reaching out to Shawn his contact information is below. Watch the replay down below! Click here to join future Coworking Community Calls!